Talk of wormholes and other dimensions outside the parameters of science fiction are usually greeted with nervous looks and uncomfortable sniggers from most. The fact is, however, that many intelligence agencies, in particular, the United States’ Defense Intelligence Agency, has at the very least, experimented and researched the logistics of these theories, as well as the technology required to embark on such endeavors. A “treasure trove” of documents was recently released in the United States following requests by a media outlet in Las Vegas including one, which we will look at in a moment, that looks in depth at not only the prospect of wormholes for space travel but how this could be accomplished. 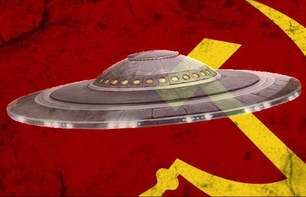 As will also look at a little later, these “projects” appear to have been taking place behind closed doors for over a decade, at the very least, with the roots of them going back to the years following the Second World War and the drastic and urgent increase in UFO activity across the planet – in particular, in the United States. Although the paper was dated 2nd April 2010, it was only very recently cast back into the public arena by Las Vegas-based media platform KLAS-TV who, incidentally, share close connections with respected UFO researcher, George Knapp. “If one is to realistically entertain the notion of interstellar exploration in time-frames of a human lifespan, a dramatic shift in traditional approach to spacecraft propulsion is necessary. It has been known and well tested since the time of Einstein that all matter is restricted to motion at sublight velocities, and that as matter approaches the speed of light, its mass asymptotically approaches infinity. This mass increase ensures that an infinite amount of energy would be necessary to travel at the speed of light, and, thus, this speed is impossible to reach and represents an absolute speed limit to all matter traveling through spacetime." 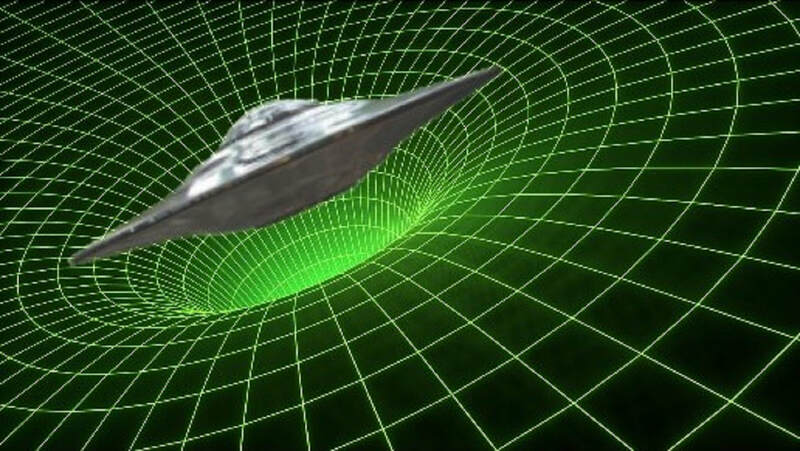 The report continues that the wormhole will “connect two potentially distant regions of space”, essentially creating a “shortcut!” This would, in theory, result in the craft being “instantaneously be transported” from one point in space to another. The paper states that “observational evidence” suggests that wormholes don’t exist – at least not locally. They can, however, be manipulated into existence. The warp drive, the report states, “involves local manipulation of the fabric of space in the immediate vicinity of the spacecraft”. 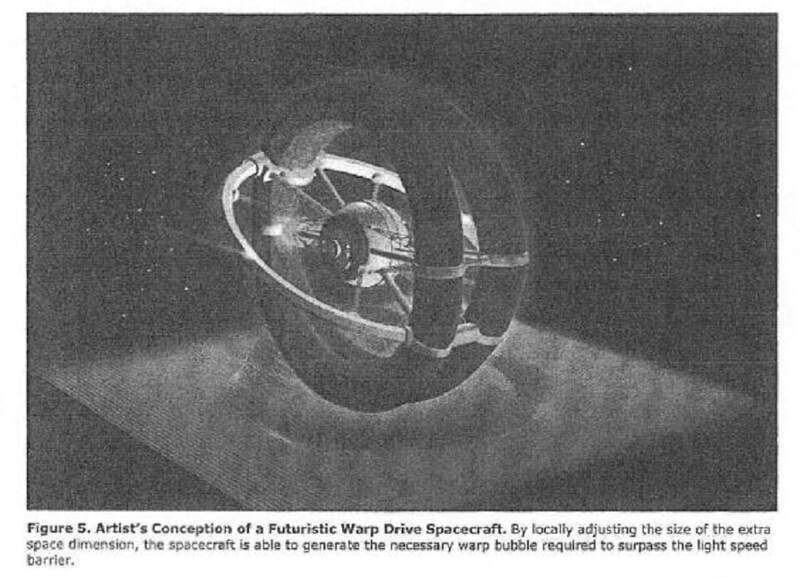 This manipulation creates “an asymmetric bubble of space that is contracting in front of the spacecraft while expanding behind it”. According to the projections, it would be possible to reach Mars in just over three minutes, while reaching as far as Neptune would take only four hours. With regards to more distant destinations, the Orion Nebula, which is 1,599 light years away, could be reached in just over a year utilizing such wormhole-like technology. It then talks about how the “spacecraft remains stationary inside this ‘warp bubble’ and the movement of space itself facilitates the relative motion of the spacecraft”. 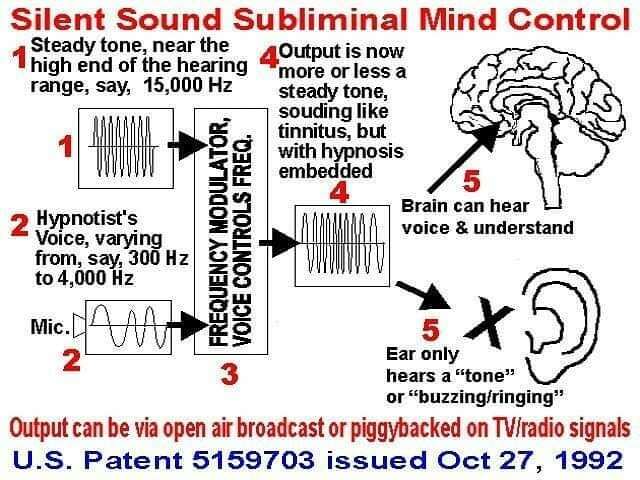 This is remarkably similar to how apparent whistleblower, Bob Lazar, spoke about the propulsion systems of alien crafts that he had back-engineered for the United States shadow government in the 1980s. 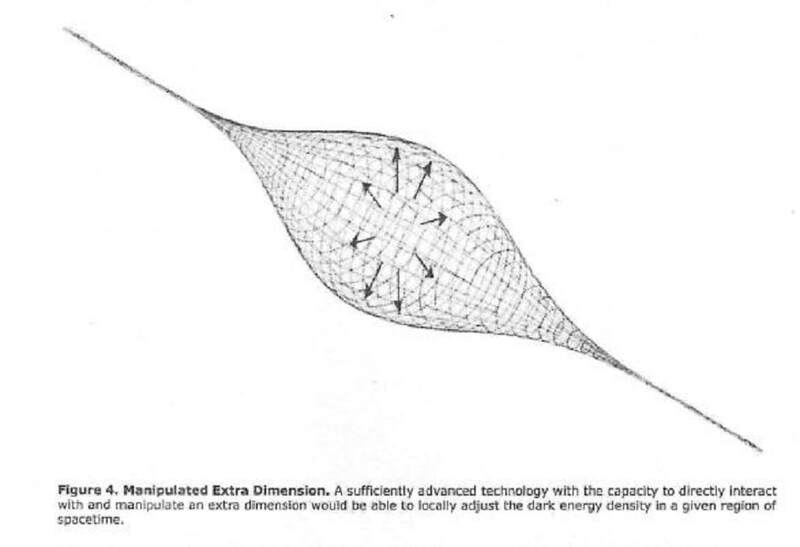 ​He would state that UFO crafts had “waveguides” that in turn connected to antimatter reactors that would create a gravity field which makes “manipulation of space and time possible!” He would further describe this manipulation was though the spacecraft in question was a “big stone on a sheet of rubber!” Upon turning on the gravity drives it would “pull the desired destination to it!” When the gravity drive was shut off, space (the rubber sheet) would return to normal, with the craft (the big stone) riding the wave of space-time – essentially, a wormhole. You can read a little more about Lazar and UFO propulsion here. The video below features Lazar speaking about UFO propulsion in a little more detail. You can also view the aforementioned files in full here or here. According to a report in the New York Times in December 2017 (which you can read in full here), the Defense Department spent $22 million on the Advanced Aerospace Threat Identification Program. That is, however, all that is known. The records do not show how the money was spent, where it went, or why. Only that the figure of $22 million was allocated to this particular platform. In reality, this money would appear to have been earmarked for “black budget” projects – at least according to those who keep an intense eye on government spending. Like the above research into “warp drives” and creating wormholes, this project was first set up in 2007 by the Pentagon. Luis Elizondo would run the project until its closure in 2012. However, according to some, its closure was for public consumption, and behind closed doors, the project continues – as does the (now) secretive funding. Elizondo would go public with what he knew about the continued interest and funding the Pentagon had regarding the existence of UFOs. At the same time, US authorities would release two previously classified videos from their files showing UFO activity. In 2008, the Defense Intelligence Agency would put parts of its research out to the highest bidder. Only weeks later, Bigelow Aerospace, owned by millionaire investor, Robert Bigelow, was awarded the contract. This contract came only weeks after Bigelow shut down what appeared to be one of the most promising independent studies of strange and paranormal phenomena in history at Skinwalker Ranch. Part of the contract would require Bigelow to “provide a facility that qualified for top-secret work!” Skinwalker Ranch today, is completely off-limits to the general public. Perhaps also interestingly, given the above information regarding the creation of warp drives in order to travel through space in hours instead of years, is Bigelow’s chosen area of interest following the public closure of Skinwalker Ranch. As well as the contract work with NASA, Bigelow Aerospace would look to venture into “space tourism” in the near future. 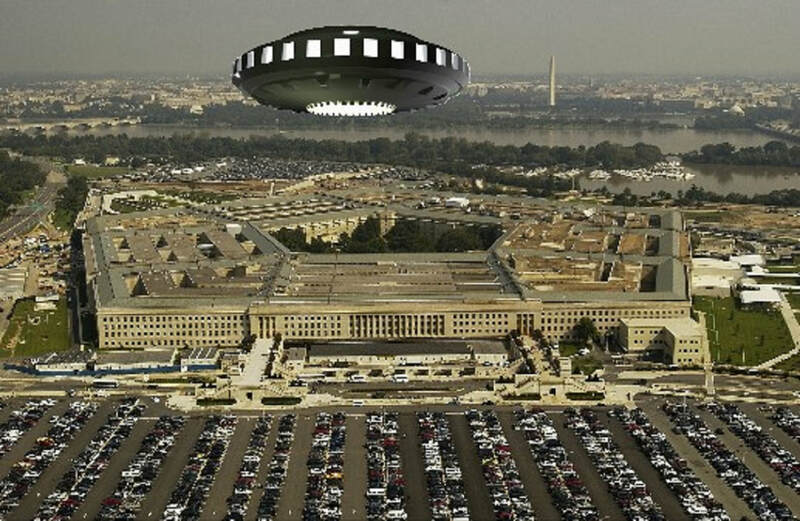 ​Whatever the details of the situation, it appears certain that the study of UFOs and the technology they utilize continues by the US government, only now it appears to continue under the cloak of absolute secrecy. Perhaps, as we will look at in a moment, those advances in technology have more than mere human ingenuity at their core. ​Check out the short videos below. The first looks at one of the recently released Pentagon UFO sightings, while the second looks at some of the conspiracies surrounding Skinwalker Ranch. While the idea of top-secret, prolonged interaction between a shadow government operating out of the Pentagon is absurd to some, it isn’t the first time that such claims have been made. The strange tale of Valiant Thor tells of an apparent alien craft landing in a field in Alexandria, Virginia, in March 1957. A lone policeman witnessed the events purely by chance as he went about his routine patrols. A humanoid, very much human-looking, if not a little taller, emerged from craft and approached the policeman. He had, he claimed, been sent by the “High Council” to speak with President Eisenhower. His name was Valiant Thor. The account was written about extensively by Frank Stranger in the book, Stranger At The Pentagon. Within these pages were several pictures claiming to show Valiant Thor. Whether it is of importance or not, no US official, serving or former, has stepped forward to discredit these photographs. ​According to the accounts, Thor did meet with the President, as well as various other high-ranking US officials. He would remain at the Pentagon for three years as a “VIP”. He would be involved in numerous in-depth discussions with US officials during his stay. You can check out the short video below that looks at this claim in a little more detail, and you can read a little more about it here. The videos below features Laura Eisenhower speaking a little further about such notions of secret alien involvement in human affairs. Perhaps such technologies as “warp drives”, only now coming into the public arena for dissection, is the result of such secret deals that took place over half-a-century ago. What exactly was the creature an old lady found in woods in the summer of 1996 in a small Russian town? And perhaps more importantly, where did it go...?